At SocialWorks Summit Live from Chicago. Chance The Rapper pledged $1 million towards mental health services in Chicago at the second annual SocialWorks Summit this Thursday. 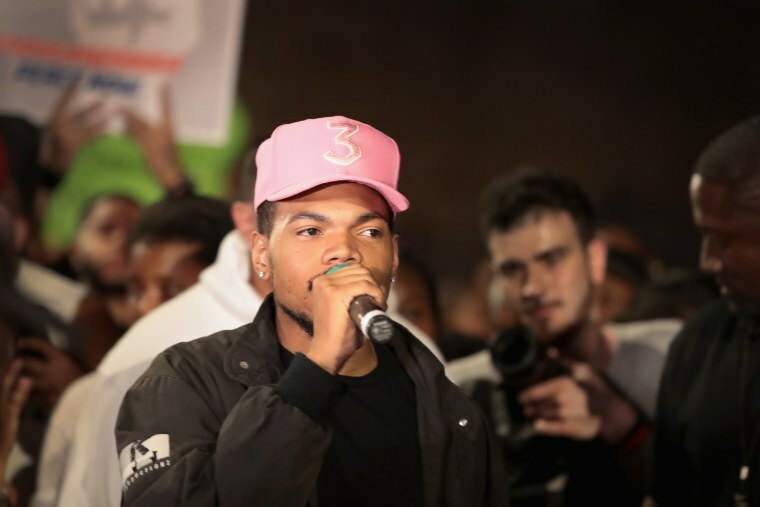 At the event, Chance and his non-profit organization SocialWorks announced a number of different support initiatives in Chicago, focusing primarily on two points: mental health, and supporting the Chicago Public Schools. The Chicago native first took the stage to reveal that SocialWorks would be continuing last year's efforts from the New Chance Fund, which saw grants and donations given to different schools throughout the Chicago Public Schools district. Chance announced that 20 more public schools in Chicago would receive the $100,000 grant for the next three years. The Coloring Book rapper then turned the focus towards mental health. "With the help of SocialWorks, we want to change the way that mental health resources are being accessed by you," he said before announcing he would be pledging $1 million to mental health services in Chicago. In addition, a rep from SocialWorks shared that the fund would also pledge $100,000 to six different mental health organizations in Cook County, and introduced SocialWorks new initiative: My State of Mind, which Chance called a "new way to think about mental health." SocialWorks has helped Chicago Public Schools raise money numerous times in the past, raising over 4.2 million dollars in total. The organization also helped produce a concert for the Special Olympics's 50th anniversary this summer— which Chance headlined. More information is available via the SocialWorks site here.